The drilling used to be called the “forester’s gun”. The various barrel combinations make this splendid implement a universal gun. The term “forester’s gun” also includes the notion of high-level professionalism. This professionalism is demanded of the marksman at the moment when stress levels are at their highest: when firing the shot. In the past, the arrangement of barrels and trigger blades made it difficult to master the drilling in stressful situations. 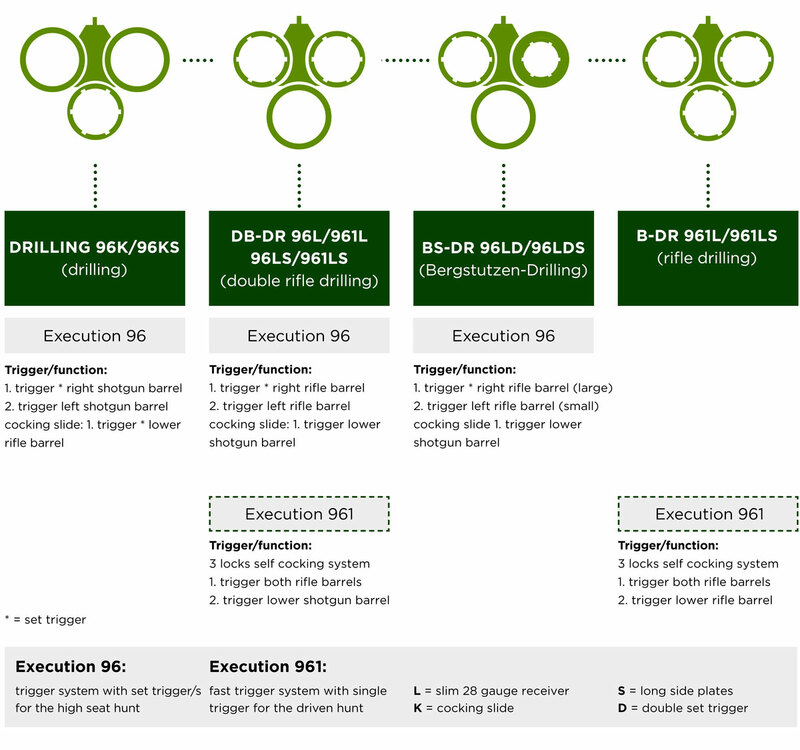 For this reason, Merkel has further improved the legendary Suhl drilling and developed a safe trigger constellation to guard against drilling confusion on the hunting ground. The principle: Suhl gunmaking art with three Blitz locks – in a new combination. Merkel has always been a drilling specialist. With the new drilling family in the Meisterstück category, the company is now producing probably the most extensive drilling range on the market. The classic drilling (two shotgun barrels and one rifle barrel) comes into its own in small game hunting. The Bergstutzen drilling (one shotgun barrel, plus one small and one large rifle barrel) excels in the mixed hunting ground and the double rifle drilling (two rifle barrels, one shotgun barrel) has proved itself to be a responsive gun for the driven hunt. The universal gun has retained its versatility where interchangeable barrels are concerned – Merkel offers all versions as an optional extra. In addition, the “uni-type” rifle drilling and shotgun drilling are available. The breech of the Merkel drilling has a triple locking system. Firstly with the Greener cross bolt between the two upper barrels, secondly with two barrel lugs.